Playing craps can be intimidating for beginners. 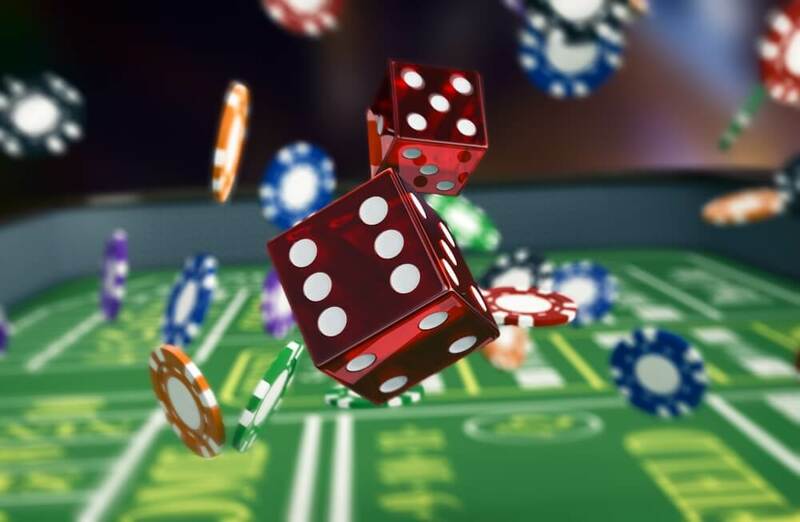 It is important for passionate gamblers to know the rules, some craps strategy and how the game works to have fun playing and increase the chances of winning. Craps can be a challenging game, but easy to grasp. It is one of the most rewarding games out there with small house edge and a high return to the player. Play Craps on Ladbrokes now! We’ll start with the basics of the game, mention some online casinos where you can play and end with some fantastic craps strategy do’s, don’ts and tips to get you started. Here are the basics of the game, but keep in mind that there is a lot more to learn than below. The game goes in rounds. In every round, there is a shooter, aka a player who rolls the dice. The shooter must pay the table minimum on the Pass or Don’t Pass bets. All other players can take rounds and be the shooter or skip, and bet on the Pass or Don’t Pass line. The Pass bets win if a 7 or 11 are rolled, and lose when a 2, 3 or 12 are rolled. The Don’t Pass bets lose when a 7 or 11 are rolled, and win when a 2, 3, or 12 are rolled. If none of these numbers is rolled, and one of the other numbers, 4, 5, 6, 8, 9 and 10 come out, they become “the point”. The Point is what the next bets are based on. Once the Point is determined the player continues to roll until the point or a 7 come out. If the point comes out, the Pass bets win and the Don’t Pass lose. 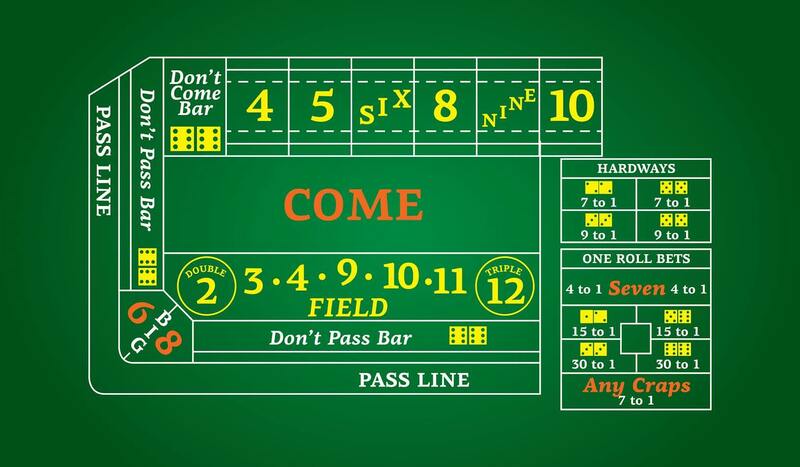 Craps have some different strategies and rules depending on where you play. This is a very popular game in the local casinos, so you can try the casinos in your city to see if you can play. In a brick and mortar casino, it is quite impossible to miss the craps tables. The people playing craps at these tables are cheering for the outcome very loud. Craps is a social game that brings people together. There is a whole story going on with friendships, luck, bad luck, the players team up against the house playing the right way, and of course there might be one player at the table going against all this and playing the wrong way. The live game is indeed fascinating, fast-paced and loud. Other differences are that the casino has several rules. First of all, the casinos have a dress code. Each person in the casino must adhere to the dress code which is usually formal wear. Some casinos have an entry fee that grants access to the casino. Playing online doesn’t require any dress code. You can just grab your laptop while still wearing your pajamas and start playing. Also, there is no entry fee, but there are hundreds of bonuses waiting for you to claim them. As you play against the game software, the game is a lot faster than the real game. And the best part of playing craps online is that you don’t travel anywhere, especially when there is bad weather. You can just stay inside all day if you wish and just enjoy the fun in the comfort of your home. And it’s silent. The table is where the action occurs. Along the table, you can see the Pass Line, the Don’t Pass Bar, the Come and Don’t Come, the Field. These all are betting lines that offer great combinations of bets. The Pass Line is for the players who bet with the shooter. The Don’t Pass Bar, for the players who want to bet against the shooter. Come and Don’t Come are similar to the two betting lines mentioned above, and are open for bets at any other time than the come out roll. On the Field, players bet that the numbers 2, 3, 4, 10, 11, 12 will come out next. In the corners of the table, there is a Big 6 and Big 8 field that allows players to bet that a 6 or 8 will come out before a 7 is rolled. 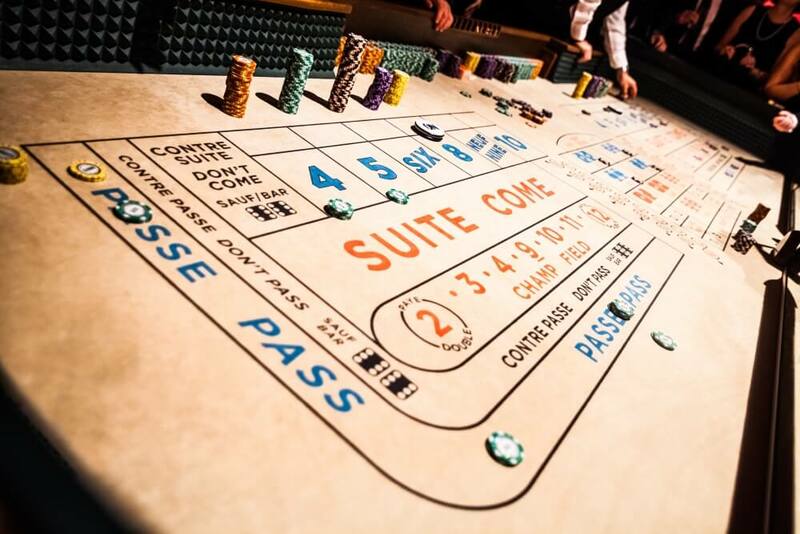 Craps is a game with a rich palette of bets. Each bet has different odds. The most popular bets of the game are the ones placed on the Pass and the Don’t Pass lines and have been mentioned in the basics of the game section above. Other bets are the Place. The place numbers are the 4, 5, 6, 8, 9 and 10 numbers. If these numbers come out before 7, then you win. The odds are 6 and 8 pay 7 to 6, 5 and 9 pay 7 to 5 and 4 and 10 pay 9 to 5. The Buy bets are like the Place bets, but you must pay a 5% commission of the bet amount to make a bet. Big 6 and Big 8 bets are similar to the 6 and 8 Place bets, the difference being that they pay 1:1 than 7 to 6. The Hard Ways Bets mean that you rolled an even number with the same number on both dice. If you bet on 6 you must make it come out as a 3-3 to win. If it comes out like 2-4 or 5-1, you lose. Bet the safe way as a beginner. Place your bets on the Pass Line. Most people bet on the pass line. It is safer, especially for the beginners and the house has a 1.41% advantage. Bet smart on the Don’t Pass Line. Betting against the house has slightly better odds than the Pass Line: 1.41% to 1.36%. Keep a low profile if you are brave enough to bet against everyone at the table. It makes people mad to see you win when they lose. Bet cheaper by placing 6 and 8 and buying 4 and 10. It’s cheaper to buy 4 and 10 than to place them. Placing the other numbers is cheaper than buying them. Don’t bet on Big 6 or Big 8. It gives the house a massive 9.1% advantage, and you don’t want that. Don’t go for the Hard 8 because the odds are 10:1. This is the worst bet that gives the house a 16% advantage. Don’t try to get the snake eyes, which is the 1-1 dice. The house gets a 14% advantage if you do. Don’t try to predict what will come next. Be aware of the gambler’s fallacy. Always grasp the basics of the game and become familiar with the multitude of betting options before you dive in the game. Here’s an example: you try to win with anything but 7, and this is what you do: before you place your bets you wait for the shooter to establish a point. Once the point is determined, you place on the 5, 6 and 8, and place a bet on the Field. If the shooter rolls a 2 or 12 you win, and remove your bets after three rolls as a precaution. Raise your bets if you are winning, lower your bets if you are losing. Go for the high odds bets if you want just to hit and run. Keep in mind that you can’t win every roll of the dice. Losing is part of the game. For longer games, just stick to the Pass and Don’t Pass bets. They are safer and keep you at the table enjoying the game. Make sure you also check out Craps Geeks, which contains one of the most complete and extensive guides on Craps. The page contains more advanced craps strategy so it might be a good idea to gain some experience before trying these approaches. Our team consists of specialized writers with more than 5 years experience in the online gambling industry. Read more about us here. © 2019 Team Promo Code Junkie. All gambling rights reserved.